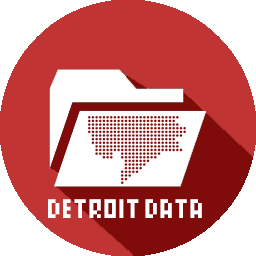 This is a fascinating visualization of Detroit based on satellite imagery of Detroit. The distinction of “open space” is interesting, especially when thinking about where Detroit current population resides. Population density is not focused in the center of Detroit as one might imagine from the “closed space” in black. The greater question is why Hantz chose those parcels when there are obviously more “open” spaces in the city? What is the resolution of this data? Any chance we could open up a higher-resolution version? Hopefully, I contacted the author – so we’ll see if he responds.